FitWorkz! We Change Lives! Don’t take our word for it take those whose lives we have helped change! Just wanted to say Thank you for this book! It has taught me what kinds of food to eat to help aid in my weight loss and what kind of foods to stay away from, but the biggest success of this book for me was how it taught me that weight training is a huge part of changing your body and I am Loving my Body Pump class and loving more all the changes I have seen in just the two months I have been doing what Eat By Color has taught me! I’m down 21.3 lbs and still going strong!! The dress I wore to the event on Saturday night I had purchased in the fall. items before I need to wear them. I could actually be stuck with nothing to wear. So one of our members bought some training for her husband. Last week he ran a mile training with Henry. Today she shared that since working with Henry her husband’s triglycerides have been cut in half…from exercise! Yesterday Jim E. ran a mile non stop for the first time in, well no one is sure. But he did it at a 10 minute mile pace. Great job Henry for helping Jim get there. Jim keep it up! We Change Lives! GE Lunch and Learn with Tony Dominic! 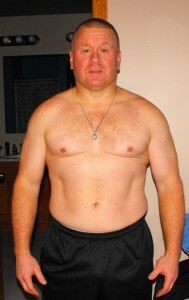 Tony has lost 50lbs and 5 pants sizes with FitWorkz and Eat by Color! Plus he shared before the presentation today that his doctor has been lowering his diabetes medication…and the no diabetes medicine light just may be flickering at the end of the tunnel! Great job Tony and Cody, Cameron, Henry and the rest of the FitWorkz staff that have helped him along! Attached is my food log for last week. I will see you at 2:30 today. 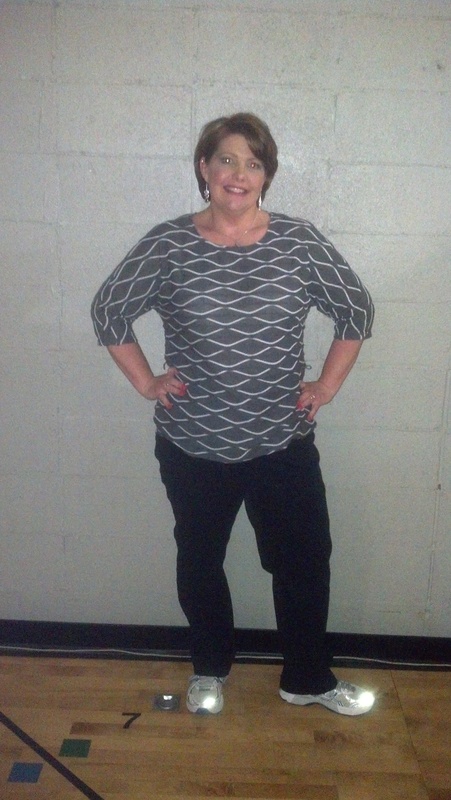 I actually wore a pair of dress pants this weekend that I could not even begin to button this fall! That had never happened to me in my life until then. It’s still weird to me how my weight hasn’t changed much but my clothes fit so differently. I just need to think differently. Are you ready to change??? 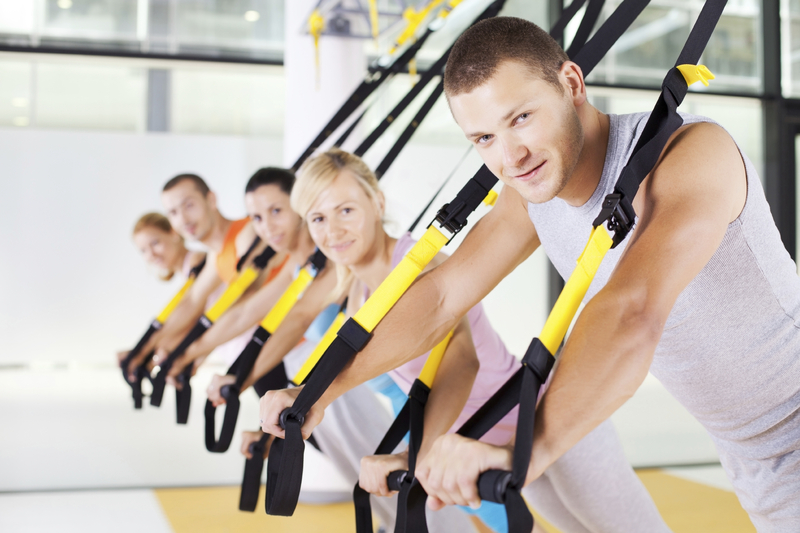 We would like to help you on your path to fitness. Your time is valuable and we want to help you reach your goals as fast as possible. 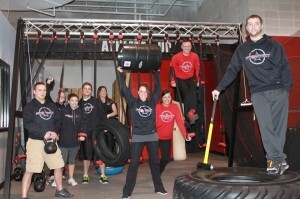 Much of what we do here at FitWorkz, as far as training goes, is not done at other facilities. Here is a taste…via a great functional training exercise the Kettlebell Row. This works everything. Quads, glutes, hamstrings, core, and will get your heart rate going. It is a great exercise to build balance, stability, and strength that will transfer right over to everyday life. Transformation Ann 2013-2 The Shirt FITs! I have to be the happiest I have been in a very long time today! I did it! I set a goal, and I made it! My first “mini goal” on my way to losing 100 pounds, was to wear this shirt I had bought at Christmas time by January 31st. I’m one week late and I really don’t care! I still did it! 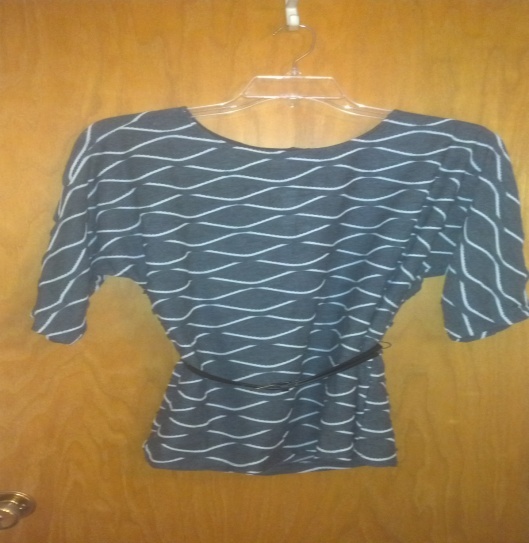 (For the record, I could have worn it last week with a body shaper, but that’s cheating!) The store did not have my size, so I grabbed a size smaller. Just two weeks ago I tried it on to see how I was doing. I was horrified! It was tighter than I remembered and I looked like a stuffed sausage. Time to get serious. FROM RAY: “Stop obsessing over your scale and focus on how your clothes are fitting.” Yes, I am (was) an everyday weigher…no more. I will still be checking in with my scale once a week, but that is it. I was so distracted by whether or not I was up or down a pound, I wasn’t celebrating the fact my pants were falling down. Who cares if your scale seems to say you are failing. It’s just a number. Enjoy your successes. It feels great when things start getting too big for your new body. The added bonus of celebrating with a shopping spree (instead of a burger) is huge motivation! FROM HENRY: “Eat breakfast within 15 minutes of waking up.” This totally made sense to me, but I was so busy getting everyone else’s lunches and backpacks ready (and screwing around on FaceBookJ ), I wasn’t eating myself until after 9:00am. I made my breakfast a priority. Taking this step made the rest of my snacks and meals feel more manageable. I haven’t felt like I was running behind with my food all day. FROM ROSE: “Focus on what muscles you are using during each exercise.” Not as simple as it sounds, it does take FOCUS. I have had one trainer/client work out with Rose and I hadn’t had that type of intensity in a workout since. What I realized was that during my “me time”, while I should be focused on what I was doing for me, my mind was wondering off to what was for dinner or would I be late picking my son. Once again, I re-grouped and made my time for me a priority. I quit worrying about whether or not I would get everything done before I had to leave. If I didn’t finish here, I finished at home, or the next day. The bottom line is, I made the most of the time I did have by focusing on each muscle and the intensity of my workouts increased. FROM ME: If you haven’t done so already, schedule a consultation with Ray to see how FitWorkz can help you reach your goals too. He measured my body fat 2 weeks ago and scheduled an appointment in 4 weeks to do it again. Having that accountability factor is HUGE! (Especially when it’s your boss!) When you are working with a trainer, they hold you accountable. You are scheduling their time and paying for it so you show up. For me, I have many people here helping me in different ways. I owe it to them to show up. And, I owe it to me too! A ginormous thanks to everyone here at FitWorkz and to all of you for your encouragement. This is a long road, but traveling with others makes it an enjoyable one. I’m glad I didn’t give up after 2 weeks like I usually do, I’m glad I quit stressing over numbers, but most of all, I’m jumping up and down and smiling like a crazy lady because I’m wearing my new shirt!!! PS: Get a Consult and get on Track! Want to Lose 40 lbs? Tom did, So can YOU! That is what happened with Tom. I know him, his wife, and kids. Have for some time. A post showed up on Facebook from Tom, he was following “Eat by Color” and was killing it losing weight. I had no idea he was following the “Eat by Color” system from my book! Fast forward to Tuesday of this week. Tom showed up to see me at FitWorkz…I was walking up to the front counter with a client and stated “wow you look like a new person!” when I saw him! Enough of my rambling here are his before and after pics. “Eat by Color” clicked for me. The book didn’t insult my intelligence, it simplified a lot of what I already knew. I particularly liked the restaurant guide. Understanding why diets fail and knowing that I could actually eat and not starve my way to a better body was the sell. Are you ready to change? Yes, I want to change and change NOW! Seriously? What are you waiting for? Please don’t tell me you are going to go the counting calories/points and doing lots of calories route! Counting calories and doing cardio DOES NOT Work! Boost your Immune System Today with These 2 Things! A Healthy Digestive Track and your Immune System! Did you know that 80% of your immune system is affected by your GI’s (think digestive system) health? Well it is and a healthy digestive system means a strong immune system. Immune system health is important to fight off illness and disease. During times of illness anti-biotics often play a role in restoring health. Unfortunately anti-biotics can kill both good and bad bacteria. Good Bacteria? You bet. Like the kinds found in your digestive system assisting with the complete digestion and absorption of the food you eat. The good bacteria’s ensure that your digestive system is healthy, which means your immune system is healthy. How can the good bacteria be increased? Pre-Biotics: Ferment in the stomach to produce good bacteria. Great sources are yogurt and believe it or not whey protein. Pro-Biotics: Pro-Biotics differ from the Pre-Biotics because they will survive stomach acid and move further down the digestive track. Pro-Biotics can be found refrigerated at quality health food stores and most chiropractic offices. Real Pro-Biotics will have 109 (1 billion or 10 billion). The products do have a shelf life and MUST be refrigerated, check both. This article is intended for informational purposes only. It is not intended to treat or cure disease of any type. Consult a physician with questions and before trying on your own. *This article is the property of FitWorkz.com and Ergoteknix Inc. No part may be reproduced with out expressed, written permission and consent of FitWorkz.com or Ergoteknix Inc. I blogged about this last week and am going to do it again. Before I get started I want to share a few things I received by email. I get these emails almost EVERY DAY from people just like you that are actually making GREAT progress! When I first signed up I told you my weight was 188 before Christmas. I had the flu so I think I was around 183 starting on day 1. I have seen a definite improvement in my stomach. Still have a ways to go. I posted about Roger on our Facebook page at the time I posted he had lost 16 lbs…Roger has since corrected me on Facebook he is now down 20 lbs! Have you made a change like that since the first of the year? Here are some secrets to be successful. 1) Do some type of weight training, don’t know how? Get help! Training works. Click here and see for yourself. 2) Stop focusing on CARDIO for weightloss…why? It does NOT WORK!!! 3) The best and most important for last…you have t0o learn how to make better food choices forever! NOT Diet! “Eat by Color” has helped the masses easily lose weight and keep it off forever. “Eat by Color” is not a DIEt it is a lifestyle! Want some FREE Help to get started? Great, Get the Blue Print! Follow 1-3 above and get the Blue Print. Do this and you will be on your way to sending me an email like Mike did this morning. 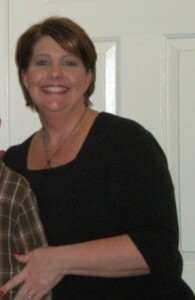 My name is Ann Cheladyn, I am the Administrator for FitWorkz, and I am just like you. I’ve struggled with my weight and health for the past 10+ years, but 2013 will be different because I now have the power of FitWorkz behind me! 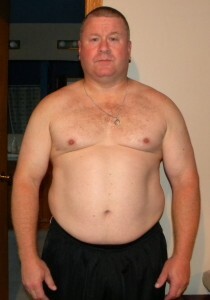 This is me now, my “before picture”. I’m not happy about it, and I don’t like looking at it. I’m sure many of you have one of these floating around as well, if you haven’t already destroyed it! It’s time to crush that fear of cameras, get healthy, and lose this weight once and for all. We can do it together! Join me on my blog @FitWorkz.com to hear my story, follow my progress and learn how I’m getting the weight off. This will be a forum for all of us to support each other, share successes and struggles, learn some training tips, and have some fun while we shed the pounds, lose inches and improve our overall health in 2013. Come join me! These are my “way before” pictures, back in the day when I was young, healthy, strong and an athlete. In my mind this is still me, but my body tells another story. These pictures were taken before the diagnosis of Chronic Fatigue Syndrome and Fibromyalgia, before the responsibilities of adulthood and family, and before the years of compounding health issues. During the past 12 years I have dealt with (along with the CFS and Fibro) ulcers, sinus surgery, infertility treatment (and all of the wonderful drugs that go with it), nine miscarriages, endometriosis, and was finally blessed with the miracle of having a child. To add to the fun, I owned a salon 28 miles away with 12 employees. All different ages, all female, a lot of drama, and a lot of stress! I’m not throwing a pity party here, this was my reality. You don’t have time to get healthy? Been there. You’re dealing with chronic pain or health problems? I’ve definitely been there and still am. Like I said earlier, I AM JUST LIKE YOU! I get it. Life constantly throws obstacles in our way, but at some point in time we have a decision to make. Do we want these things to control us, or do we control them? AKA-ROCK BOTTOM. That moment came for me in the spring of 2012. (I’ll get more into that later in the blog). We will address these and other issues that have kept many of us from reaching our goals for way too long. I may not bring back the Big Hair from my glory days, but by utilizing the easy to follow Eat By Color guidelines for a healthy eating plan, and the pre-designed workout program (slightly modified for me), I WILL have that strong, athletic body once again! Follow my blog and we’ll be in this fight together. Let’s get it done. It won’t always be easy, it will be a lot of work, but having a support system is a huge advantage over tackling this on your own. You’ll also get rewarded with some special goodies throughout the year for taking part in this challenge. It starts with posting your goals! I look forward to hearing from all of you and getting to meet you in person at FitWorkz! Want to get started now? Why wait for the next blog post? Through 2/7/13 FitWorkz is offering a 30 day Personal Training Experience for only $59.00. This is an incredible value for the support and information you will be getting! Also, starting at FitWorkz is only $19.99 as well. Check out the website for all the details. AND, here’s your first Blog Follower Special! Stop in and pick up a copy of Eat By Color written by Ray Binkowski, Owner of FitWorkz, and get $5.00 off! Eat By Color is an easy to follow approach to healthy eating. I just finished my first week and lost 4.2 pounds! (I even snuck in a visit to McDonalds, a bowl of ice cream, and some chicken nuggets) I am done with crazy, unsustainable fad diet plans. Eat By Color is definitely something I can adhere to for the rest of my life. **You can also reach me at Ann@FitWorkz.com, I’d love to hear your stories too! STOP! Don’t do this if you are TRYING to Lose Weight! Did you set a 2013 resolution? Start the new year off with a ton of motivation to lose weight? Fit in a bikini on spring break. Maybe you were or are fed up of being fed up with how you look and feel. It does to me. I have seen tons of comments, statements, and questions on Facebook and other social media outlets. The passion to change is awesome! So why are so many of you wasting it? How so? I have seen a BUNCH of you posting how many calories you cut, meals skipped, calories burned doing cardio, double workouts, hours of cardio. STOP!!! These things will NOT work. Change that if you have cut calories enough and done enough cardio you may squeeze your smaller self into that bikini but guess what…you will NOT have that sculpted, toned, lean look you want. Plus as a bonus you are likely to gain all that weight back and as a bonus a few extra pounds. In less than the last three weeks I have heard the following from clients following “Eat by Color” and training at FitWorkz. Their statements are below click to see them tell you their story in their own words! I quit running, am eating more and losing inches, my legs are toning with out running. I have lost over 60 lbs and cut my cardio from 6 hours a week to about and hour a week. I was a runner for 10 years, and have cut it almost completely to nothing, I am eating more and working with Henry twice a week. I am down over a dress size. Not good enough? How about this one. I fit in a dress I have not worn in 20 years! Cutting calories, doing hours of cardio or some other short term program that is a LONG term Failure! Read that again! And again! And again! Stop being a rat in the wheel wasting your time. We can help and it is FREE…Just click here for help! 2012 was an incredible year. Lindsay lost over 61lbs and 6 dress sizes in less than a year. Training a NIU fullback and helping him get picked up by the 49ers as an un-drafted free agent. Linda reports that her cholesterol levels are the lowest they have been since the 1980’s thanks to training with Rose and “Eat by Color.” Oh she has also lost a dress size plus! Former trainer and long time Wright Athletic Employee Eran Gwillim is nearing the end of Medical School…Congrats Dr. to be! Jim having a coworker ask him why in 25 years he is the only company employee that looks like he has not aged…Jim’s answer exercise. Larry saying his doctor can not believe where his numbers are and at almost 60 he reports being in the best shape of his life thanks to Rose! Tony losing over 50 lbs and having honor of buying him lunch for doing so! 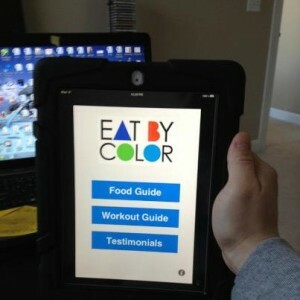 Publishing “Eat by Color” in print and digital media formats. Hearing “I can’t believe how comfortable I am at FitWorkz” from boomers that have never been gym members and were scared to death to join a gym…until coming to FitWorkz that is. Helping Emmanuel drop inches with “Eat by Color” and FitWorkz. Ending the “Eat by Color” contest and seeing the incredible change people can make. Seeing local college athletes home for the holidays back in to Athletic Republic to train with us. Watching bowl games and seeing our Athletic Republic athletes playing and one a cheerleader for Wisconsin. Thanks for letting up be a part of your process enroute to college! George having his cardiologist tell him “you are doing more with exercise than we can do with medicine” after training with Henry. Amy at 42 years of age asking in January if it would be possible for her to wear a bikini on her 20th wedding anniversary in June…yes. She worked with Henry, followed “Eat by Color” and yes wore the bikini! WOW!!! FitWorkz is much larger than it looks from the road. I love how much space and equipment is in here! Thanks Fitworkz and Henry! 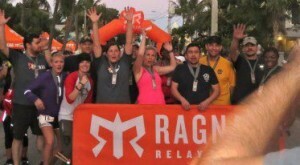 I finished the Ragnar Relay in Key West, FL! A FREE Blue Print for Success in 2013, Click and GET IT FREE! Evolution Training has already arrived, try it for FREE! More training, education, and empowering the community to achieve health, wellness, and weightloss. Awesome blog posts with great life transformation stories, recipes, exercise info and more!